Selecting auto insurance is a tricky business, and it is always best to thoroughly research your options before you commit. Aside from the main components of comprehensive collision and liability insurance, it is possible to customize your insurance plan with add-ons that meet your specific needs. Major insurers offer additional policy features that cover medical costs, custom equipment coverage and pet injury, just to name a few. All of these extras come at a cost; insurers need to turn a profit, and add-ons are always an upsell. While peace of mind is a valuable thing, a uto insurance add-ons should be approached with caution. However, there are several options that work out to be solid financial investments. It is undisputed that cars immediately depreciate in value when they are driven off the dealer’s lot. If you have leased your vehicle or financed your purchase without a large down payment, there will be a period of time when you are “upside down” in your loan. Until you have made enough payments to cover the depreciation, you owe more money than the car is worth. In the event that your car is totaled from an accident or natural disaster, gap insurance covers the difference. For example, if you financed a $27,000 vehicle and totaled it in an accident three months later, you are liable for the outstanding loan amount plus interest. If you leased your car for the same amount, you owe the dealership restitution for the car. Thanks to depreciation, the insurance appraiser values the car at $24,000, and you are responsible for making up the $3,000 gap. Gap insurance coverage ensures that you do not wind up paying thousands of dollars for a car that you no longer own. Gap insurance is inexpensive and can be purchased for $100 per year or less. Most leasing contracts require it, and it can be a good financial move if you purchased your car without an enormous down payment. Dealerships may offer to bundle the expense into your monthly payment, but it pays to shop around. Policies like this can be purchased independently and sometimes added on after a leasing contract is signed. A common consumer mistake is to pay for this coverage after it is necessary; it is best to use this feature only until you owe less than the car is worth. Roadside assistance plans provide emergency assistance when you are stranded. 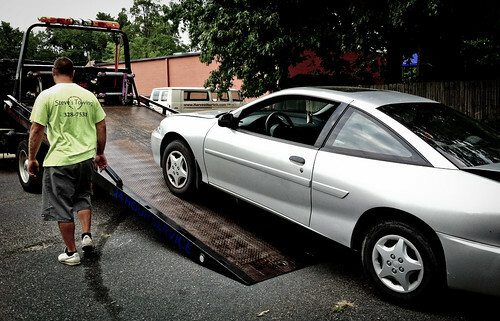 Common provisions include towing services, battery jump-starts, flat tire repair and locksmith service. Roadside assistance packages are very low in cost, usually only a few dollars a month. If you frequently drive long distances, drive alone or lack the skills of a mechanic, these policies are a very good investment. Before you purchase roadside assistance, make sure you do not already have it. Roadside assistance is offered by a surprising number of entities. Mobile telephone service providers often include roadside assistance plans; major providers like AT&T, Verizon and Sprint provide it for less than $5 a month. Credit card companies often have roadside assistance provisions, so the card you use for your monthly payment may already be providing you with this service. A motor club membership or subscription to a vehicle assistance system like OnStar also invalidate the need for separate coverage. The concept of a vanishing deductible is based on a safe driver reward system. By driving safely, you can incrementally decrease your insurance deductible and theoretically reduce the deductible to zero. For every year of driving without an accident or ticket, your insurer reduces your deductible by a preset amount. These programs can be a financial lifesaver if you have sudden out-of-pocket expenses and do not have liquid cash available. This add-on coverage usually amounts to somewhere between 5% and 15% of the cost of your car. Some major carriers cap deductible decreases at around $500, so if you invest more than $500 over time you ultimately are paying for something you do not need. The best way to take advantage of this add-on provision is to set your deductible high so that you offset your cost with potential gain. Mandatory in 29 states and optional in the rest, uninsured motorist coverage pays expenses related to an accident with an uninsured person. These expenses include car repairs, towing and rental car service and medical costs. Some policies will even cover items that were damaged in the car, like cellphones or laptops. It is not a long shot that you may find yourself in this situation; the Insurance Research Council estimates that 1 in 7 drivers are uninsured. Your insurer will pay your expenses and sue the at-fault motorist for damages, though it is unlikely that uninsured drivers have collectible assets. Experts recommend that drivers without collision insurance purchase uninsured motorist policies. Collision coverage does cover some of the same expenses, regardless of the number of states requiring this redundancy. Uninsured motorist coverage requires a deductible in a few states. Some states also limit the amount of payout, and some cover the entire replacement cost of the car. This add-on policy is a worthy investment against financial ruin from an accident with a negligent driver. In summary, the four types of add-on auto insurance listed above are sound financial choices. Many other add-on policies do not carry the same value, however. If you are evaluating other add-ons, determine whether you really need the coverage and weigh the expense against the likelihood that you ever need to file a claim.